Henry, too underrated but a skilled athlete, has received many plaudits and awards in his football career. He has played for an array of local sides as a youngster and showed great promise as a goal-scorer. It was at Arsenal that Henry made his name as a world-class footballer. Henry has enjoyed similar success with the French national squad, having won the 1998 World Cup, Euro 2000 and 2003 FIFA Confederations Cup, they say where Henry goes, victory follows. One of the coolest finishers ever seen and blessed with a natural acceleration and speed that are just unfair. Who can deny the talent of Eto’o? He has the ability to change the game in one blink of the eye by gliding into the box and finishing calmly. It is debatable that Ibrahimović with whom he swapped clubs last summer is better than Eto’o or vice versa, but but he has a Champions League title and World Cup appearance, Ibra has neither. Either way both of these players are very talented and dynamic. This Cameroon native has a tendency to run his mouth, but his performance is enough to back it up. And to add he is the all-time leading scorer in the history of the African Nations Cup, with 18 goals. The Liverpool Captain, has all the talent in the world. Steven Gerrard, has earned handsomely through remaining faithful to his boyhood club. 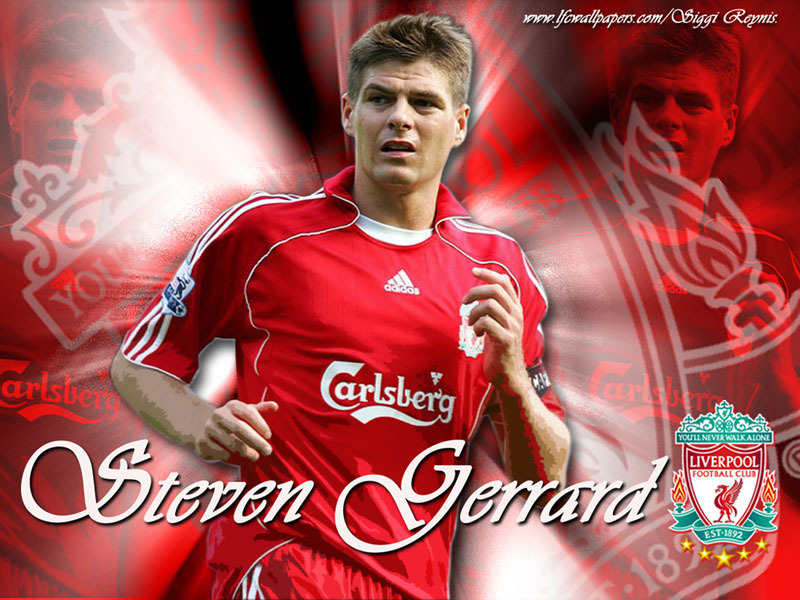 Gerrard has emerged as a superb attacking midfielder, who also operates as a second striker or as a winger. Along with Frank Lampard, they formed the best duo attacking midfielders in the world. Gerrard further increased his international goal tally as he helped England in qualifying match against Croatia for the 2010 FIFA World Cup. This 26 year old superstar is probably the most underrated footballer, but he is truly a capricious play-maker who outdoes at the pitch. His willingness to play anywhere on the pitch, coupled with a natural humility, has earned him the sobriquet El Ilusionista, El Anti-Galáctico, Cerebro and most recently Don Andrés from the Spanish press. Along with his other teammates, Iniesta’s stunning performances have shinned out throughout the past year. Xavi Hernadez is not the fastest player in the world, nor does he have the best foot skills but every soccer team needs a Xavi, a savvy midfielder whose is the best creator in the game which sticks Barcelona and Spain together in their perspective to glory.